As readers of this column know, there are four decisions you must make to build a thriving company: People, Strategy, Execution and Cash. In your personal life, there are parallel areas: Relationships, Achievements, Rituals and Wealth. Commit to writing your goals in these four areas, just as you weave the Four Decisions into your business plan. 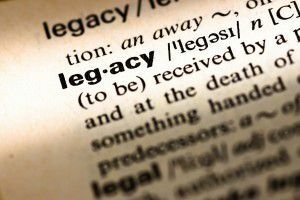 To guide you in creating a personal one-page plan, here’s a link to a “ME: Living Legacy” tool. (http://montewyatt.com/gazelles-growth-tools/). In your personal life, you’ll want to think about how you can make a real difference to the key people in your life. For instance, you might aim to have a happy marriage, instead of just staying married, as many people do. When you focus on improving your self, your leadership grows, your business grows, and your personal life grows.